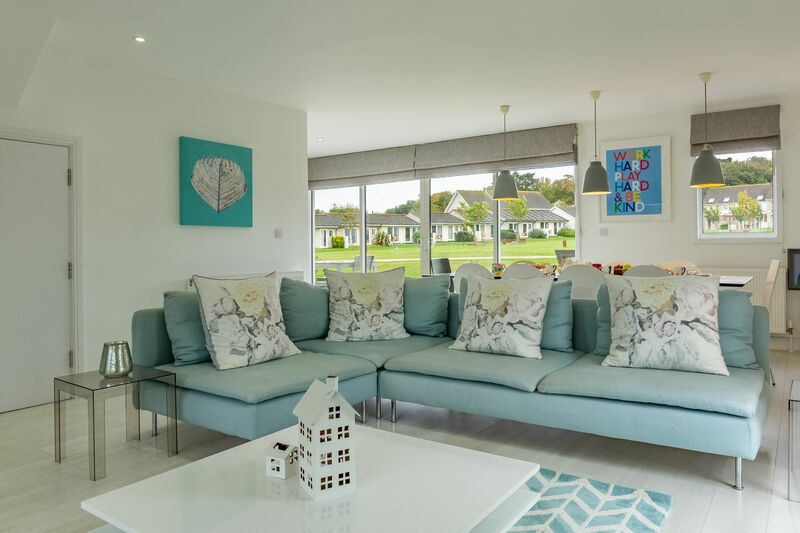 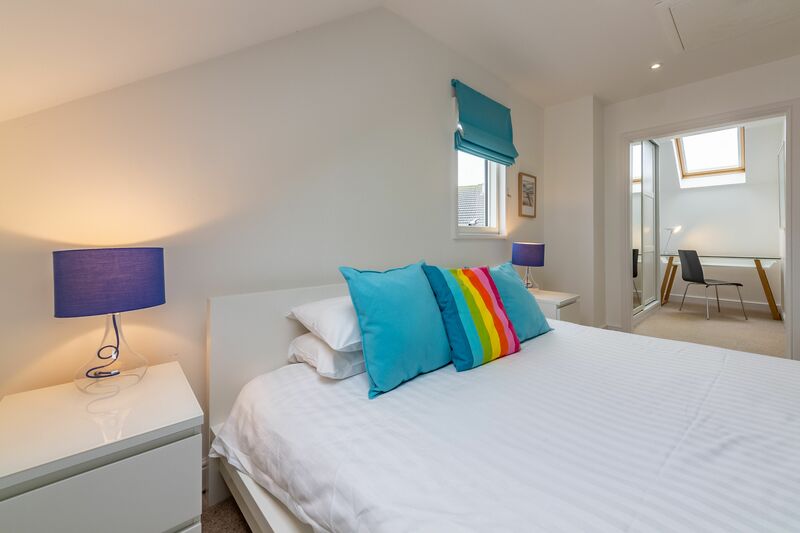 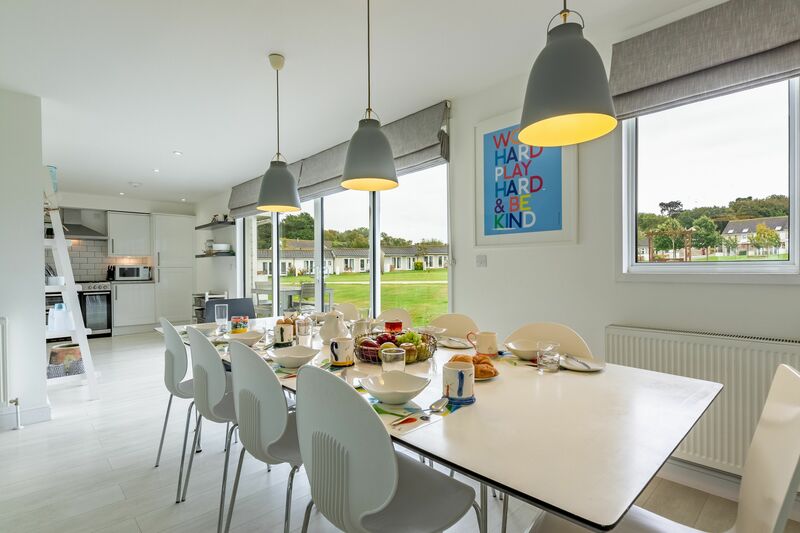 When you’re going away as a group, you don’t just need plenty of space – you want to be sure that your holiday home is comfortable and well equipped too. 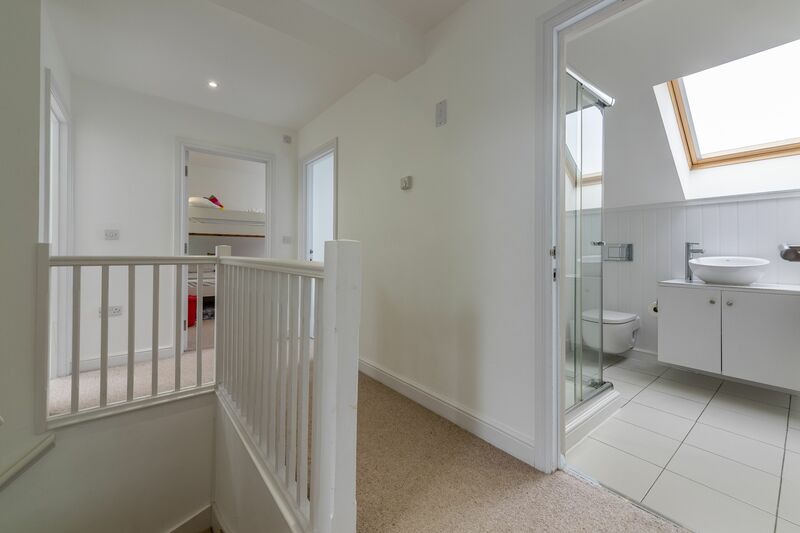 That’s exactly what this tastefully furnished four-bedroom home gives you. 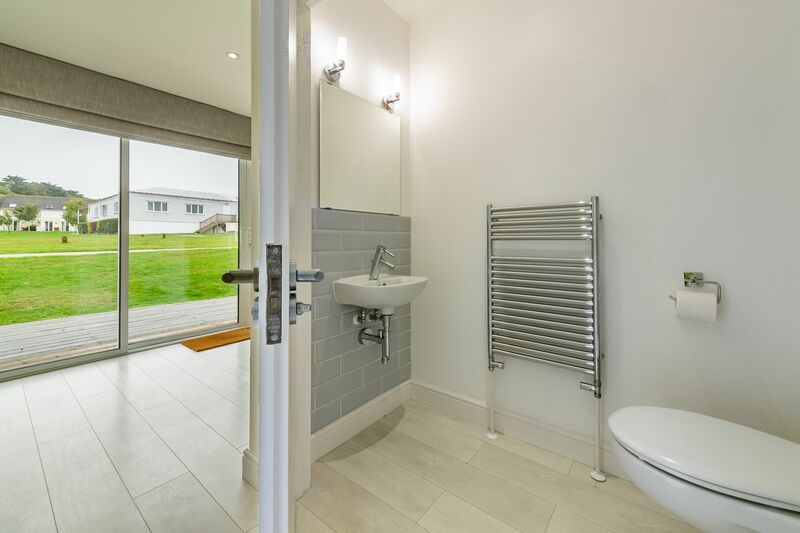 And at less than a minute’s walk from the Country Club, there are lovely views over the communal green from the patio, the ideal spot to enjoy a drink or a barbecue. 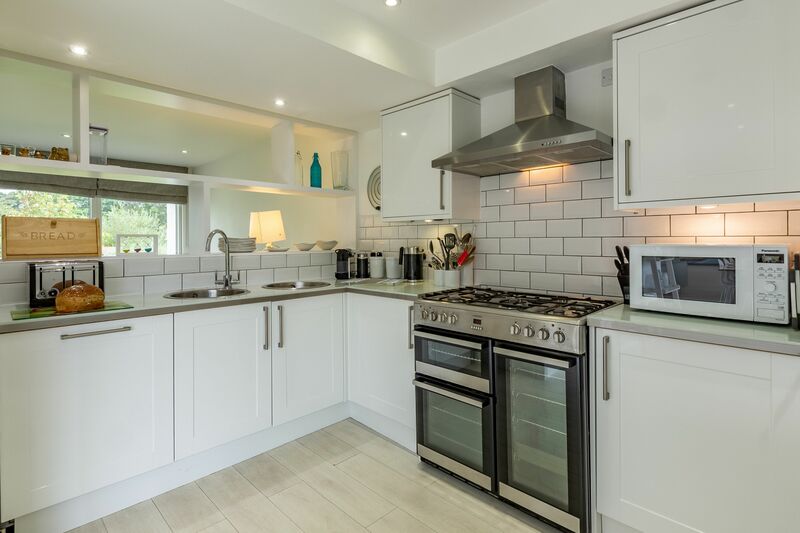 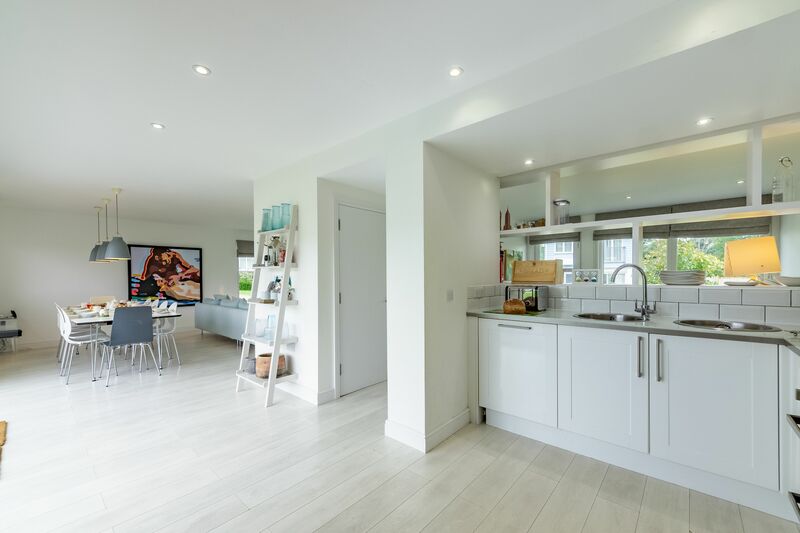 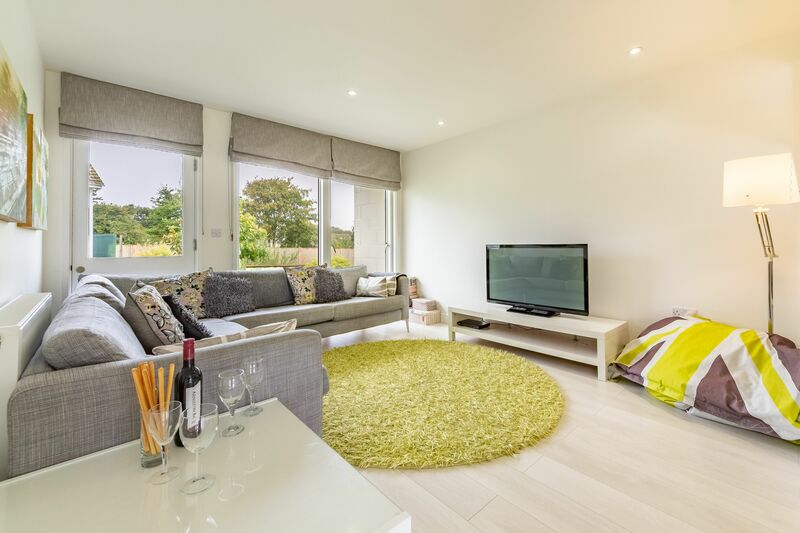 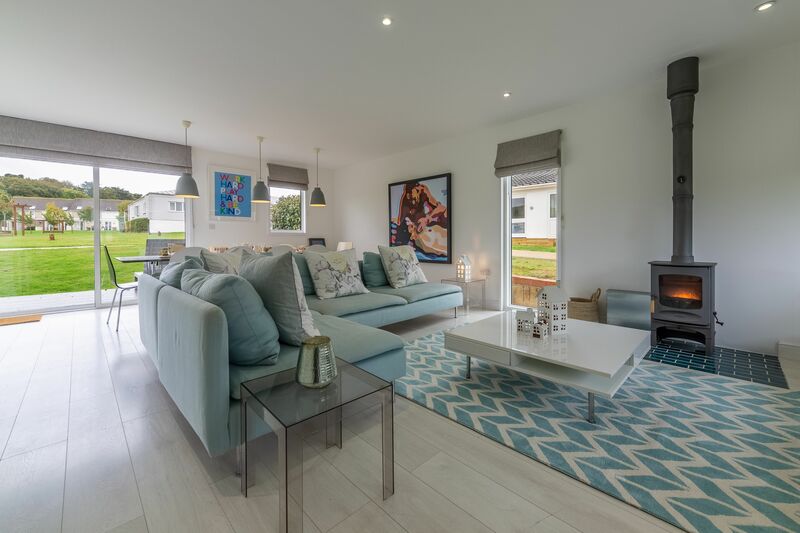 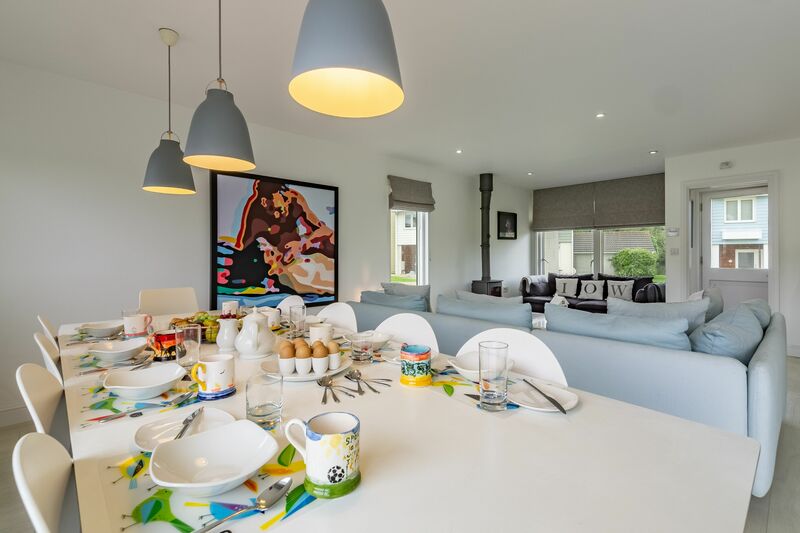 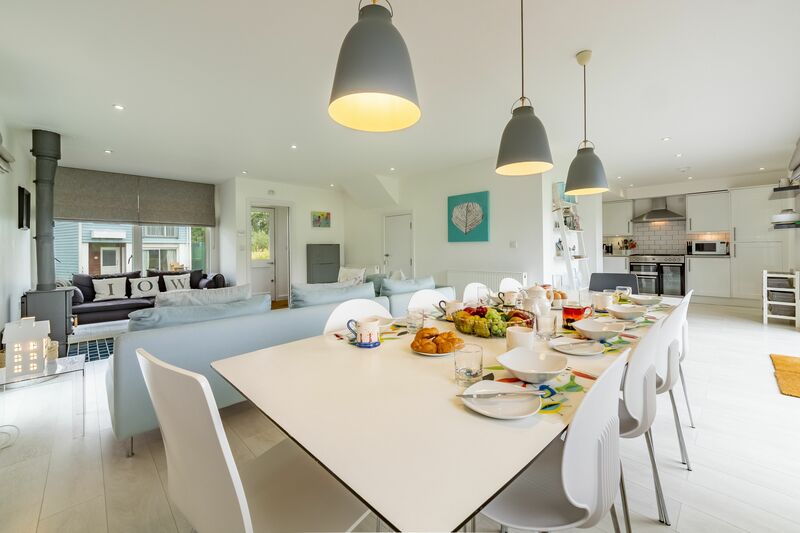 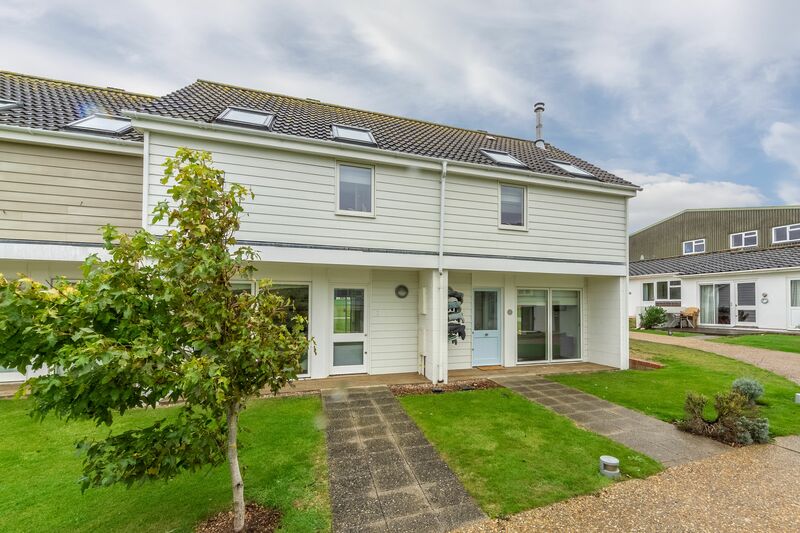 Inside the property, the open plan kitchen has a range cooker, dishwasher and Nespresso machine, and there’s a large dining table for up to ten of you to get together and enjoy a meal. 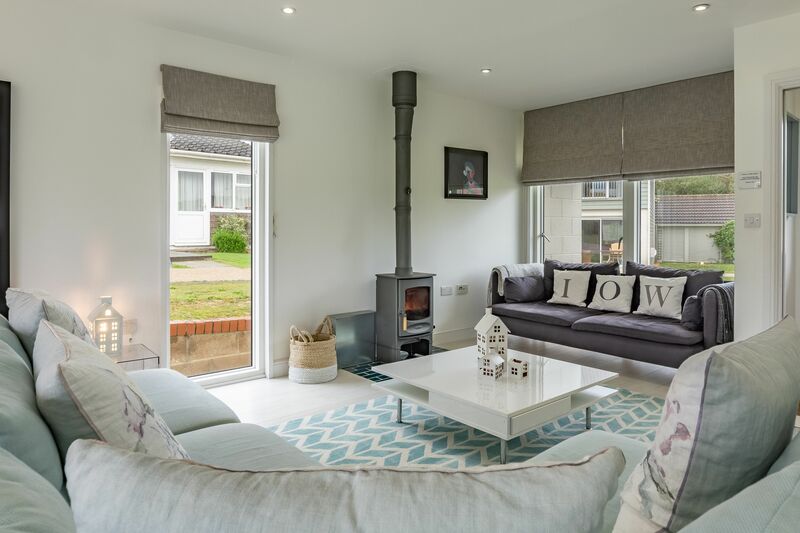 The living area has a wood burning stove – please bring your own firewood, kindling and matches – and there’s a separate living area too, with a Freeview TV and DVD player. 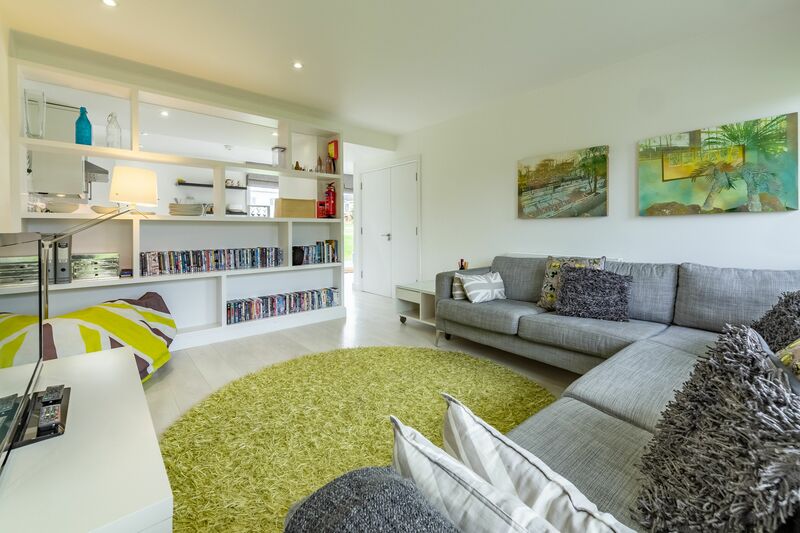 Don’t worry if you’ve forgotten to bring any DVDs – there are over 200 here to choose from! 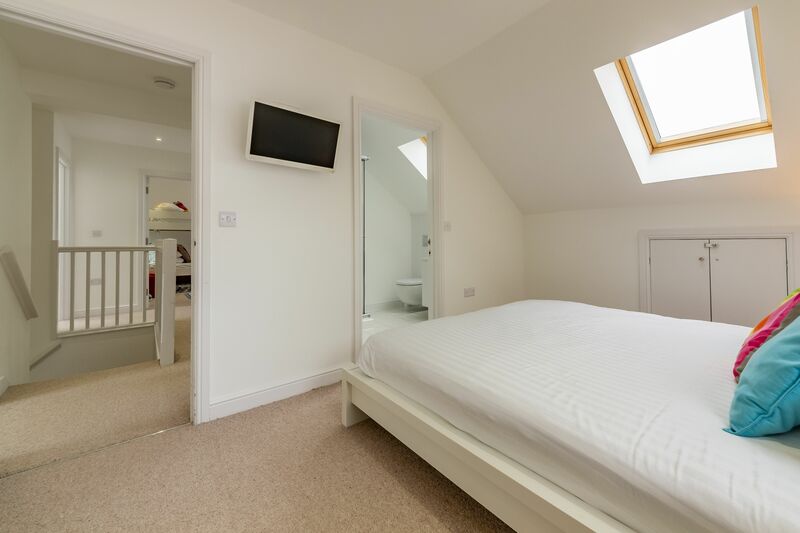 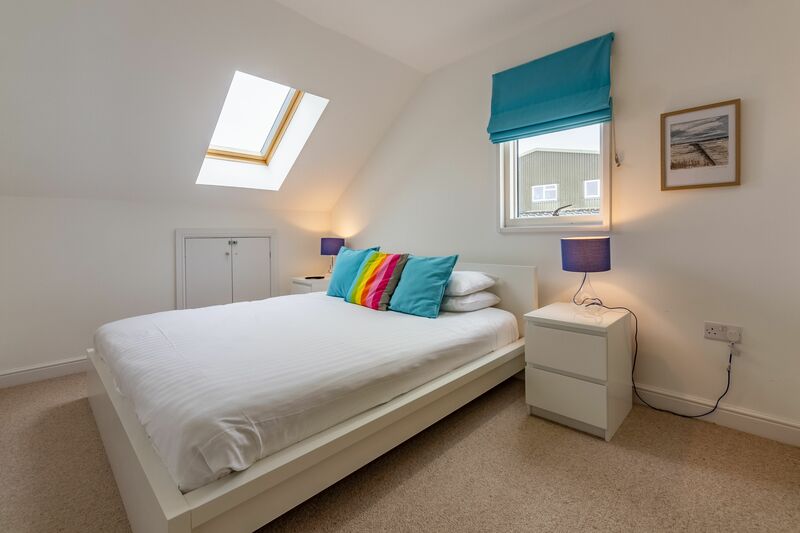 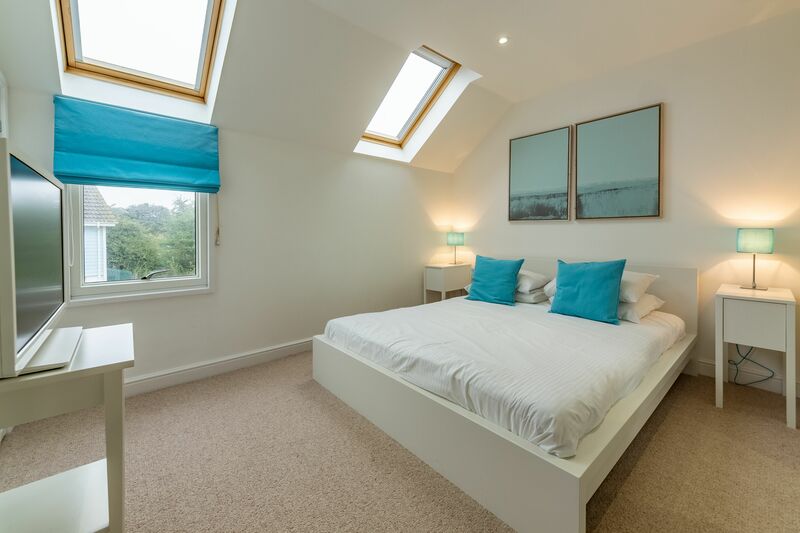 The master bedroom has a super king size bed with a TV and DVD player, as well as a dressing area and en-suite bathroom. 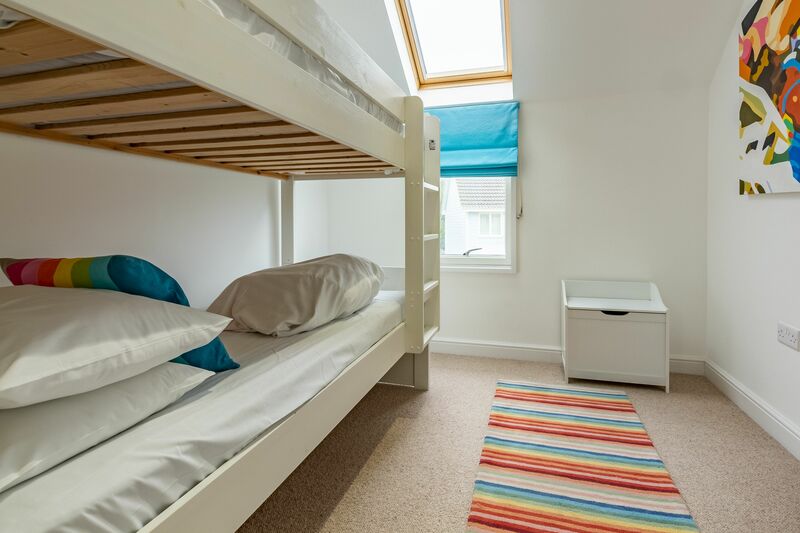 The second bedroom has a king size bed, plus a built-in wardrobe and a TV with DVD player. 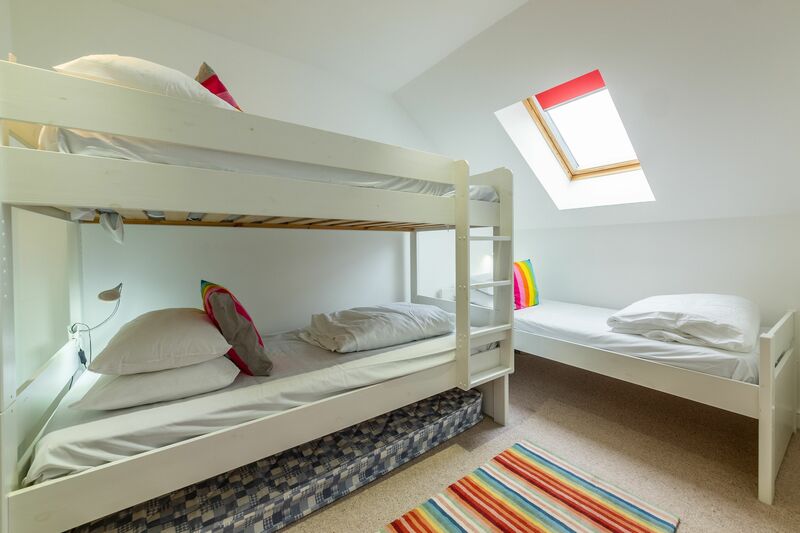 You’ll find bunk beds in the third bedroom, along with a separate single bed, and there are also bunk beds in the final bedroom. 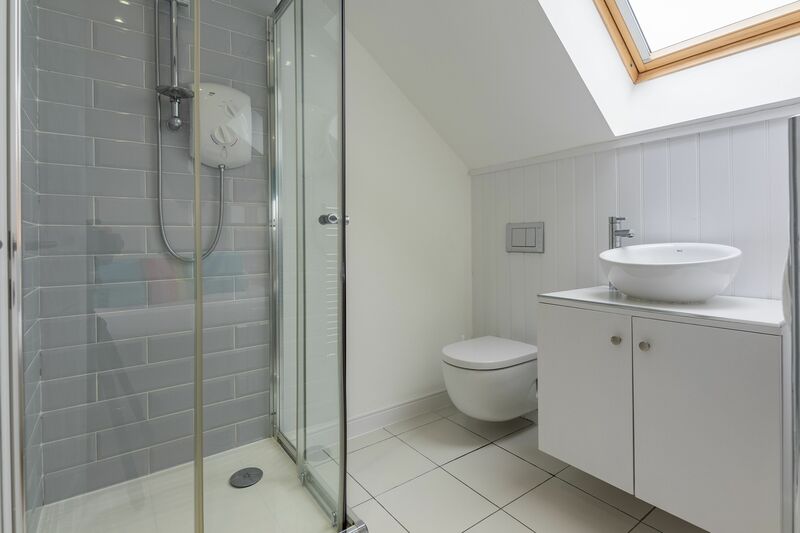 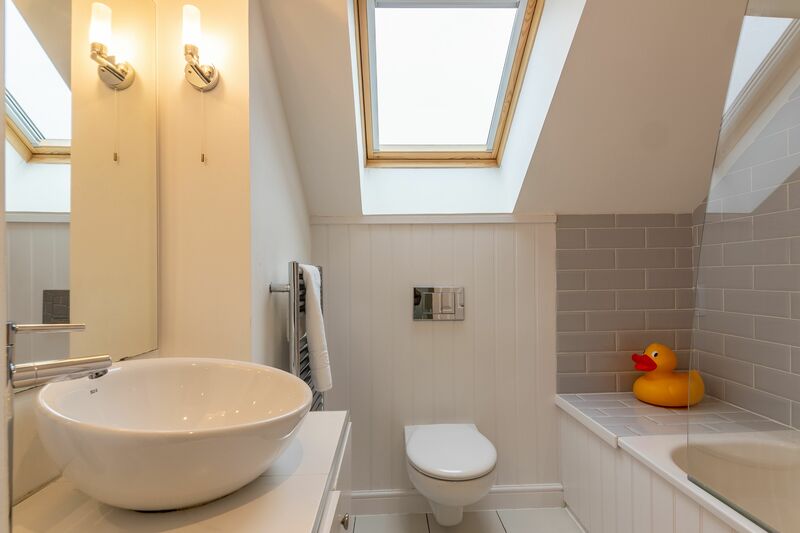 A family bathroom upstairs and a separate cloakroom downstairs complete the accommodation.